Cedar, sandalwood, candied mandarin peel, dried figs, dates, cumin, nutmeg, clove, balsamic resins, Tonka bean, Siamese benzoin, myrrh. Cedar, sandalwood, candied mandarin peel, dried figs, dates, cumin, nutmeg, clove, bay leaf, immortelle, Tolu balsam, labdanum amber, balsamic resins, tonka bean, Siam benzoin, myrrh, and sweet myrrh. Arabie opens on my skin with sticky dates and tannic, almost leathery figs, both submerged under a steady stream of immortelle absolute that smells like maple syrup, curry, and banana leaves combined. A host of fresh, dried, and aromatic herbs from the kitchen pantry are lavishly strewn on top: a generous handful of fenugreek; a pinch of fresh basil; a cup of oregano; and several large, brimming cups of bay leaf that smells immensely bitter and medicinal. 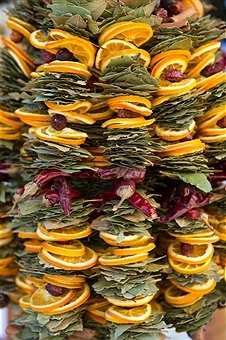 Oranges and bay leaves. Photo: Wolfgang Kaehler/LightRocket via Getty Images. Between the two camps — the herbal and the sweet — lies an orange note that takes elements from each because it smells simultaneously candied, dried, and as fresh as blood oranges mixed with bitter Seville bigararde. It’s not a powerful note, nothing remotely as intense as the dried fruits, immortelle syrup or herbs, and it seems to hide mostly behind the bitter, almost medicinal aromatics of the herbs in a way that makes me think of a Campari cocktail where the bartender put more Angostura bitters than actual Campari. But that’s not all. It’s as though a chef suddenly felt the need to raid the rest of his pantry lest he hurt the feelings of other ingredients by leaving them out, because all of this is then set against a fluctuating backdrop of nutmeg laced with cloves, a pinch of earthy cumin, and the immortelle’s curry powder side. Like a diaphanous curtain blowing back and forth in the distance, the spices sometimes waft by on the breeze in a clear, distinct fashion but, more often than not, they’re subsumed within Arabie’s opening brown-red-gold core. That immensely foodie combination goes beyond mere gourmandise or the dessert portion of a meal; it’s every meal ever made in a Middle Eastern kitchen. The immortelle isn’t just the glue holding the sticky dried fruits and bitter herbs together, and it’s not simply as sweet as honeyed or maple syrup dessert. 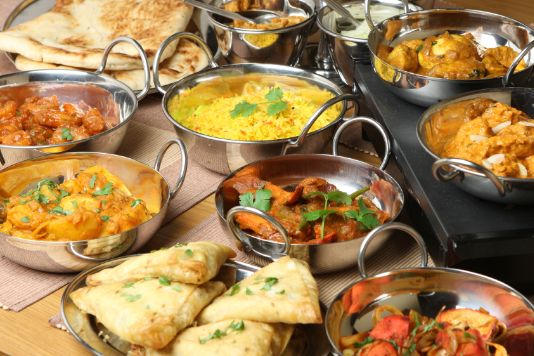 It’s also immensely savoury in feel, and redolent of Indian curries. I suspect some of you are probably shuddering and thinking that it all sounds terribly ghastly, but the curry aspect is better modulated and balanced than you might think, at least on my skin. Plus, a lot of the times, the food is more of an impressionistic abstraction than a heavy or absolute reality. In a way, it’s more like the traces of a thousand past dinners that linger in the air, the old wooden beams, and every nook and cranny in a Middle Eastern family’s kitchen. Under this all, Arabie’s base runs thick with the same labdanum, resin, and benzoin accord that lay at the heart of Lutens’ famous, pioneering amber, Ambre Sultan. It’s as though Sheldrake and Oncle Serge took the latter’s medicinal, herbal top notes and amber base notes, gave them a gourmand face-lift by blanketing them immortelle syrup, then decorated them with half the dried fruits and spices of his local souk. There is no doubt at all in my mind that Serge Lutens sought take Ambre Sultan in a different direction when he composed Arabie, turning his amber into something semi-gourmand in nature, and transforming its herbal amber focus into something more complex that also included his now-signature dark fruit accord. The disconcerting thing for me is that all these typically dense, thick, sometimes opaque accords feel astonishingly thin on my skin in the case of Arabie. I applied several generous, wide smears equal to 2 large sprays from an actual bottle, and the result was a fragrance that was far, far sheerer than I had expected. Arabie is strong in scent up close, particularly the aromatic bitter herbs, but I can’t get over how lightweight it is in body and feel. The projection is on the low side, too, radiating about 2.5 inches, at most, in the opening moments. The sillage is merely average, roughly 4 inches, although it remains there for a surprisingly long period of time without change. In addition, Arabie also wafts nicely around me if I move my arms. Still, the sheerness of the scent… had I not wanted to avoid screwing up my standard baseline, I would have doubled the quantity application because Arabie is bizarrely diaphanous, strong, quiet, and light, all at the same time. I think it’s my skin’s fault; it seems to eat through both the body and the sillage. Another thing that surprised me was how quickly the many elements fuse together in the second stage which begins as soon as 40 minutes into the fragrance’s development. I genuinely cannot tell where several notes end and another begins. It’s a sticky blur of honeyed, fruity, bitter, savoury, herbal, green, spicy, ambered, resinous, musky, gourmand orientalism. If there were plums instead of tannic figs and dates, and if the immortelle’s banana leaf/curry aromas were less intense, I’d compare Arabie to a Christmas fruit cake. But there is no plum, brandy/cognac, or vanillic icing on my skin, only the more savoury aspects of a kitchen dinner. At this stage, Arabie is very similar to Cadavre Exquis, the recent collaboration between Bogue‘s Antonio Gardoni and Fazzolari‘s Bruno Fazzolari. However, there are differences between the two scents as well. First, I think Arabie is significantly smoother, as well as a more seamless blend, even if the latter results in an overly fast loss of note clarity/delineation. Second, its notes all feel proportionally equal, whereas Cadavre Exquis’ banana leaf/curry/syrupy immortelle leads the pack by a huge margin. Third, I think Cadavre Exquis is monumentally sweeter, in addition to being dense in feel and heavy in weight. Arabie is softer, lighter, and thinner. Fourth, it doesn’t feel overtly synthetic in the way that Cadavre Exquis occasionally did on my skin, particularly during its middle and drydown phases when it wafted Tauer-like tarriness and powerful aromachemicals. In contrast, Arabie’s drydown, as you will soon see, is all about natural, richly balsamic, leathery resins led by Tolu balsam and labdanum. Finally, to me, Arabie feels more polished, better balanced, and more thematically consistent than Cadavre Exquis which its perfumers described as a “Frankenstein” creation with ostensibly mismatched parts. Arabie’s aromatic herbal bitterness and immensely foodie aspects may be a struggle for someone with my low threshold for sweetness and personal tastes, but I still find it to be an easier fragrance when all the factors are taken together. Arabie continues to shift as its second stage progresses. Roughly 90 minutes in, the aromatic greenness weakens, smelling now mostly of generalized bitterness and generalized dried herbs instead of specific, individual notes. They certainly aren’t dominated by the bitter, almost medicinal bay leaf or the heaping dose of oregano in quite the same forceful and distinct fashion as the opening. In the same way, both the dried fruits and the spices are more amorphous now, quieter, and milder. A more critical change occurs about 2.25 hours into Arabie’s development when its base notes seep upwards, turning the fragrance more leathery, less purely gourmand, and less sweet. Instead of its core being dominated or driven primarily by immortelle, it’s now resins instead. Their leatheriness is sometimes like musky castoreum but, above all else, they resemble a the resinous and more heavily spiced version of the Tuareg leather in Lutens’ Cuir Mauresque. It’s equal parts dry, sweet, animalic, spiced, musky, and faintly, just faintly, a bit sweaty and skanky as well, thanks to the cumin. What surprises me is the powerful wave of licorice that it wafts whenever I smell my arm up close, leading me to believe that Arabie has a hefty dose of Tolu balsam in its base because licorice is one of its common nuances on my skin whenever really large quantities of the resin are employed. 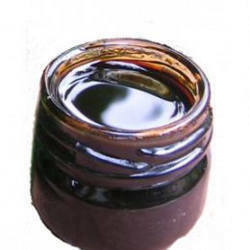 The dried fruits and spices are subsumed within this dark, balsamic core, while the green herbs are tiny, darting fireflies in the background now, barely noticeable except for the persistent bitterness that they bear. In effect, these changes mark a transition point that takes Arabie into amber territory, and out of both the kitchens and the souks. By the start of the 4th hour, Arabie’s long, satisfying heart stage begins, and the fragrance is primarily centered on soft, musky, leathery and almost chocolate-y Tolu balsam that is layered with cinnamon-scented benzoin and gorgeous labdanum that is darkly toffee’d, heavily honeyed, and sexily musky. Dabs of tannic, dried fruits lie in it like flies caught in amber. Immortelle syrup (that no longer smells like anything foodie, curried, or savoury) adds another layer of sweetness to the balsamic resins. Finishing things off, a handful of earthy brown spices is thrown on top for good measure. This goes on for hours and it’s lovely, even if it’s still too sweet for my personal tastes. The “leather” sometimes smolders in the way that resins can in really concentrated doses, but there is a plushness that gradually appears as well, an almost velvety thickness that keeps me coming back for many an appreciative sniff. From the 6th hour onwards, Arabie’s bouquet reminds me a lot of parts of Sultan Pasha‘s Ambrecuir attar crossed with his Resine Precieux, and perhaps a drop of MFK‘s Ciel de Gum in its cinnamon-benzoin late stage (but without any of its musk). I’m not saying it’s an exact analogy, though. Arabie still has a noticeable immortelle note that occasionally wafts its maple syrup aroma; its leather is darker and less heavily buttered than the calfskin leather in Ambrecuir; its spice profile differs from Resine Precieux; and there is a lingering suggestion of dark fruits, albeit a very abstract, impressionistic, and muted one that is muffled by everything else. Be that as it may, I think the two attars combined together are a better comparison than Ambre Sultan at this point because the latter is not leathery or brimming to the top with Tolu balsam. In Arabie, the labdanum is engulfed with the resins, rather than the being the star of the show. All that changes when the long drydown begins at the end of the 8th hour and the start of the 9th. The labdanum takes over, the sweet myrrh rears its head, and the “leather” disappears, its absence opening the door for the syrupy sweetness to return. In essence, Arabie’s drydown is the gourmand version of Ambre Sultan’s drydown. 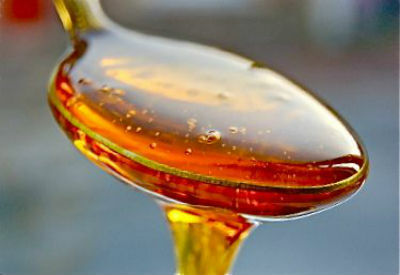 The sweetness occasionally bears a slightly acrid quality when I sniff my arm up close, perhaps because it feels like the syrup been reduced to its most concentrated essence, then mixed with the smoky side of the sweet myrrh. At other times, though, especially later on, Arabie has a gorgeous caramel aroma that is perfectly balanced and never too sweet. 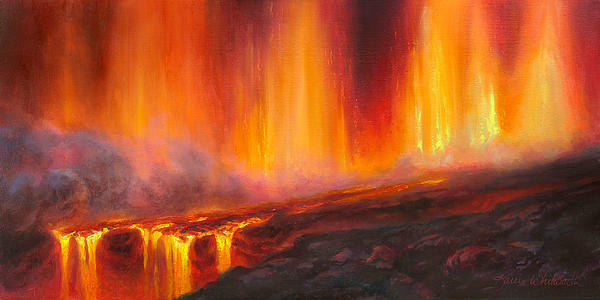 It works particularly well with the abstract, amorphous spiciness and the sometimes vanillic nuances of the benzoin. The best part of all may be the immensely nutty aroma of the sweet myrrh that comes out almost 16 hours from the fragrance’s start, lending a praline, pecan, or nougat aroma to the amber. 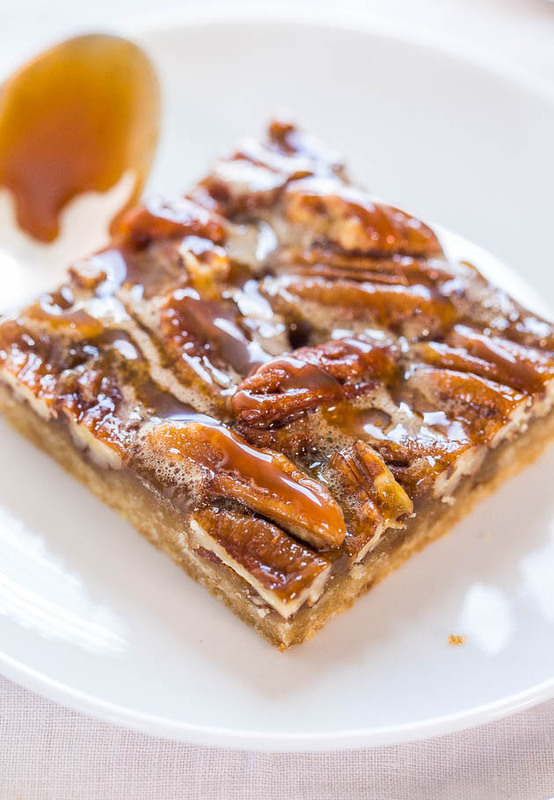 In its final moments, that’s largely all that’s left, a wisp of quietly spicy caramel-praline. Arabie has astonishing longevity on my skin for a fragrance whose lightness, thinness, and softness I’ve already recounted. I’ve talked about the opening sillage and projection numbers, but the latter just drops and drops. After 60 minutes, Arabie is down to 1.5 inches, maybe 2 at best, although the sillage remains at 3-4 for almost 6 hours. About 3.5 hours in, the projection is down to an inch. Arabie turns into a skin scent on me after 5.5 hours, but the fragrance is easy to detect up close for hours to come. After 9 hours, things get interesting. Arabie coats the skin like a soft, plush wisp, and I was sure that we were reaching the end. So imagine my disbelief when I could still detect Arabie 14 hours, 16 hours, and, to my slack-jawed astonishment, 24 hours from the start. To be clear, I always had to put my nose right on my arm and skin to detect it from the 10th hour onwards, but it was unquestionably there. No doubt at all. Spicy labdanum amber with gourmand syrup at first, caramel praline from the 16th hour on. I’m amazed. This is a fragrance whose discreetness, thinness, and lightness seemed unlikely to last more than 10 hours, let alone more than twice than amount. And I’m hardly the only one who experienced great longevity. The majority of Fragrantica longevity votes are for the two highest categories, and a Luckyscent poster mentioned experiencing 15 hours. My feelings about Arabie really span the spectrum. On the one hand, I really don’t like the aromatic bitters and the almost medicinal bay leaf that is such a prominent aspect of first two hours on my skin. I realise they exist to try to counterbalance the gourmand elements but they don’t succeed, which brings me to my second point. If you’ve read me for any amount of time, you’ll know that my threshold for sweetness is exceedingly low and that I’m not a gourmand lover. As I’ve explained, Arabie goes beyond mere gourmandise and practically lives in the kitchen for the first 4 hours. I find that to be extremely difficult. I do not want to smell of curried foods, let alone curried foods, bitter herbs, and syrup-laden desserts simultaneously. On the other hand, the leather stage is lovely (though still too sweet for me), while the drydown is fantastic! It’s actually better than Ambre Sultan, particularly once the sweet myrrh kicks in. A cousin to Ambre Sultan, Arabie is slightly more daring and less comfortable, with fewer debts to Shalimar than to the herbal, anisic floral of L’Heure Bleue. Playing on the plaintive interval of bitter and sweet that makes liqueurs like Hungary’s Unicum so memorable, Arabie sets a powerful suite of herbs like basil and bay against a polished mahogany backdrop of dried dates. The combination is dense, delectable, and uncanny, a familiar tune transcribed to a strange scale. I really wanted to love this one, but just can’t. […] Like several other reviewers, I get a spicy fruitcake, with lots of dates, followed by curry. After a while, this starts to smell like a spicy Holiday candle – not bad at all, just a room smell, not something I want to wear. Yes. Yes yes yes. This is nose-gasm material. This easily qualifies into my top 5 oriental list right away. 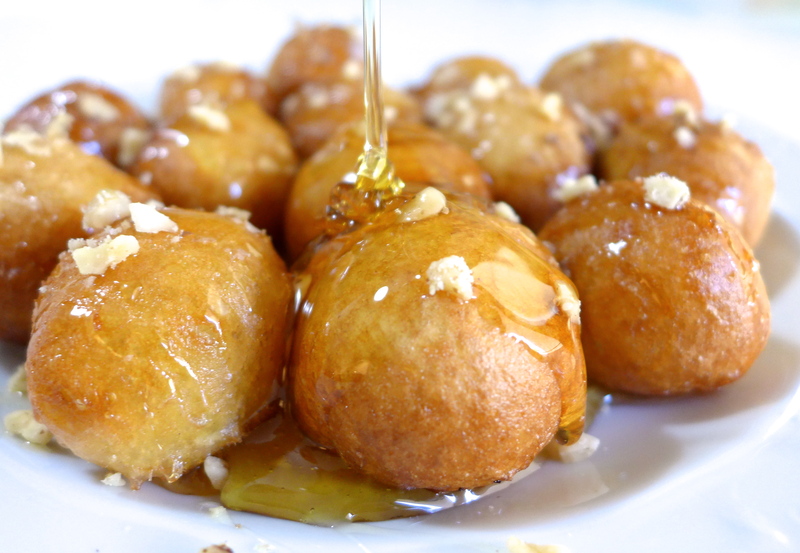 Even though it is spicy, it is impossibly soft, round, fluffy, syrupy. I’m loving the date note in particular since it is so unusual. The nutmeg invokes just a touch of Organza, but mostly it is all about the dried fruit and spices. Delectable. Other Fragrantica posters feel the same way but, again, not everyone. One person didn’t like Arabie’s “medicinal” aspect, while another start off adoring the rich, spicy, fruity gourmand opening before becoming aghast at the curry that appeared on his skin during the drydown. Opinions are just as split on Luckyscent and MakeupAlley. On the first site, four or five people share Tania Sanchez’s opinion that Arabie is actually far better than Ambre Sultan. A few people found it turned into a love on the second go-around, while others loved it right from the start or call it “full bottle worthy.” In the dissenting camp, however, one Luckyscenter disliked the “chicken tikka masala” food vibe, another thought Arabie smelt like a cheap incense head-shop, and a third thought it smelt like a man’s pipe. On MakeupAlley, food comes up frequently, but a good number of people seem to really love the spice blend mixed with gourmandise. They call it: their “favourite oriental winter fragrance,” their Holy Grail, or a “masterpiece.” The dissenting group is horrified by the medicinal bitterness, the “aggressive” lashings of spice and sweet myrrh, or the “muscle rub” scent of the cloves. One person says the curry and “spice bazaar” bouquet is “beautiful” but “completely unwearable as a perfume.” Another loves the smell on her friend’s skin but its culinary aroma on her own skin leads to the funniest description of Arabie that I’ve read: “the ultimate poetic savory soul crushing oriental gourmand.” “Soul crushing.” Hilarious. Arabie may be the most complex Oriental fragrance I have ever smelled. Back before the more esoteric niche houses (some of whose frags smell like nervous breakdowns), Arabie was a shocker. Stuffed full of heavy, almost irritating spices, stewed and dried fruits, and a bushel of myrrh, Arabie was intoxicating. You’d get so drunk on the stuff that you’d be easily overwhelmed. In the years since, I have come to a new appreciation of what a masterpiece Arabie is. So few frags actually smell like their names that when one does so, it is a relief. You can almost tell what Arabie will smell like from the notes, which is no mean feat. One could use any number of muscular adjectives to describe Arabie: meaty, beefy, fiery, hot, vehement…violent. Violent? Indeed, because to my nose, there is an extended metaphor of grilled meat (also found in Fumerie Turque) lurking in the smoky benzoin of the base; one is reminded of goat grilling in the marketplace, the smoke permeating the air to the point that the smoke becomes perfume. Although complex, Arabie seems to move straight from the top to the drydown, likely because that drydown is very heavily weighted. Atlas cedar, sandalwood, strong medicinal benzoin, smoky tonka and bitter myrrh weave together into what seems like a native art. Superb craftsmanship. Arabie should be hung in a museum or be written as the setting in a film. It’s even more brilliant when one realizes the foreign quality of it, both gustatorially and olfactorily. We aren’t, most of us, likely to find ourselves in the middle of a pungent bazaar, and nor can we relate what we smell in Arabie to our daily lives. We can only go about in subway cars that smell of Eternity, and that is a shame. Arabie is the most evocatively experiential fragrance I know. Whether or not Arabie ends up being for you, it’s an excellent example of the old Lutens style and aesthetic. I have to say, I really miss it. General Cost & Discounted Sale Prices: Arabie is an eau de parfum that comes in a 50 ml bottle that retails for $135, €95, or £75. However, you can find it highly discounted at several U.S. and international websites. On Amazon U.S, Arabie costs $80.39 with free shipping; Beauty Encounter has it for $74.95 with a coupon; and Fragrance Net (which ships worldwide) has it for the lowest price at $58.49 with a coupon. 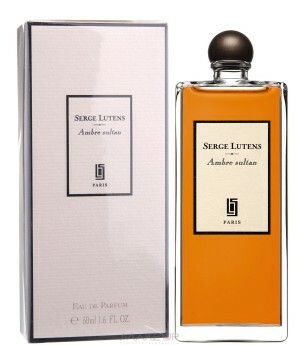 Lutens & Regular Retailers: you can buy Arabie at regular, full price from Serge Lutens’ U.S. and International websites. In the U.S., retailers include: Luckyscent, Twisted Lily, Portland’s Fumerie, Saks, Barney’s, Aedes, and a number of other stores. Outside the U.S., Canada’s Perfume Shoppe has Arabie The Perfume Shoppe for CAD$130. There is a strange “retired” notice next to the perfume’s name, but I could put it in a shopping basket so it’s still available for purchase. 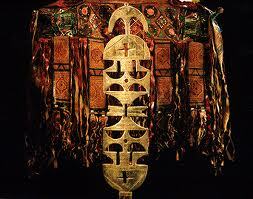 In the U.K., department stores like Liberty or Selfridges sell Arabie. Harrod’s should have it, but it’s not shown on their website. In France, you can find it at department stores like Galeries Lafayette. French Sephora sells Arabie for €98,95. It’s cheaper at Premiere Avenue (€85) and Germany’s Essenza Nobile (€82). Both ship worldwide. Italy’s Neos1911 has Arabie for €100. FragranceNet is cheapest, and has a variety of discounted country options. If you go to the tiny flag icon at the top right of the page where it says “Currency,” you change it to the one for your area. The Euro discount, for example, is €53,42 with a coupon. In Australia, Mecca sells Arabie for AUD$162. 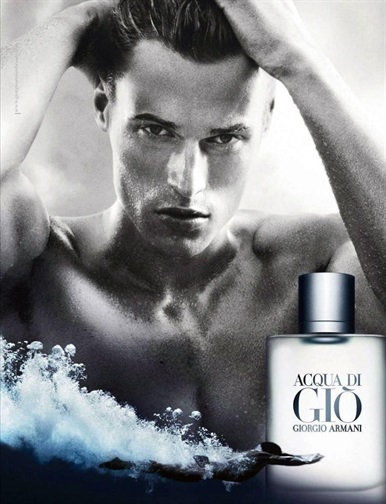 It’s discounted on FragranceNet Australia for AUD$78.40 with the coupon. For all other countries, you can use the Lutens Store Locator guide. Samples: Surrender to Chance has Arabie starting at $3.99 for a 1/2 ml vial. There is also a 4 Lutens Export sample set for $18.99 where you choose the fragrance, each in 1 ml vials. In Europe, several of the sites listed above sell samples. This entry was posted in Ambers, Gourmand fragrances, Orientals, Perfume Review, Serge Lutens and tagged Ambre Sultan, Arabie fragrance review, Cadavre Exquis, Gardoni Cadavre Exquis, Gourmand ambers, Gourmand fragrances, Immortelle fragrances, Serge Lutens Arabie, Serge Lutens Arabie review by Kafkaesque. Bookmark the permalink. This is the one I remember sampling a little bit ago. The dry herbal opening. Yes the bay and yes the immortelle . I just ordered some samples from Lucky scent. For some reason I ordered Ambre Sultan thinking that it was this one,and Ambre Sultan in the opening is not thin, nor was there that dry herbal/bay leaf and the wood. So when I read your description I knew I had the right one. I went to Fragrancenet and I saw that it was Google Trusted, which is nice for they back up your purchase, and they also accept PayPal. Generally good comments on the sites, so I ordered . I am getting a sample of Arabie from Serge Luten’s US site soon. Thank you fro this review and the links. Have you never bought from FragranceNet before? I think they’re a great site and have never had any problems with my purchases from there. In fact, a good number of my 50 ml Lutens bottles come from there! The fragrances have never been “off” in any way, they’re well packed, and shipping/processing is fast. All those things matter to me, and I’m particularly impatient when it comes to a huge lag time in processing orders (which something the Perfume Court did to an extreme degree, turning me off them forever), but FragranceNet is prompt and efficient. I know a number of people who have used them with good results and no problems — for Amouage as well as Lutens. I think I remember Basenotes users voting for them as a great perfume shop in some recent year-end compilation list, too. In short, I think you should definitely consider them in the future if they have a fragrance you’re interested in. So, what Lutens samples did you order from Luckyscent? Just Arabie? Or did you have Arabie from before? (I’m a little confused, sorry. lol) Regarding the 12 samples that Lutens plans to ship you with your recent order, I expect they didn’t list or tell you which ones they would be? I’m rather excited about you getting so many Lutens to try. But, gosh, I hope they don’t send you any of the ghastly Eaux line with their watery synthetic crappiness. Hopefully, they will send you more of the masculine ones and the classics. I wish I were there as you started to sniff each one so I could see your reaction. There tends to be a Love/Hate polarity when it comes to several Lutens. In fact, I’d argue that the very best Lutens are the ones that challenge you, not the ones that are safe, tame, middle of the road, and commercial. 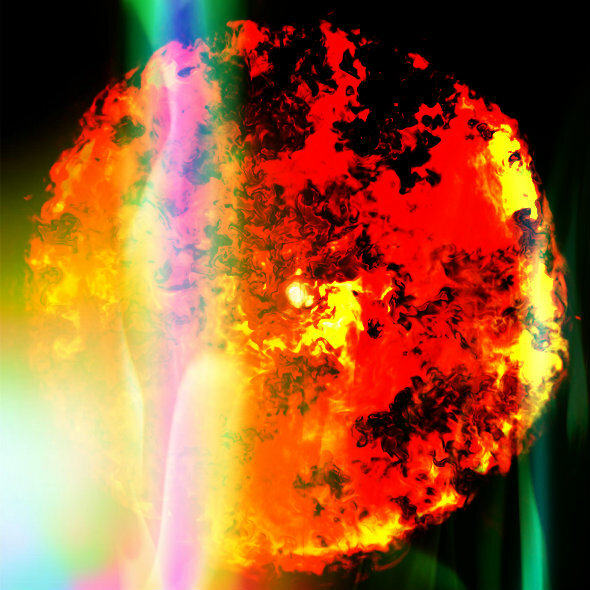 Unfortunately, the latter is something that plagues many of the later, newer ones, as well as some of the feminine florals like Nuit de Cellophane. Fingers crossed, though, that you get a sample of Filles en Aiguilles! Well, this might sound silly, but deep in the heart of Serge Noire , the up close and take a deep whiff, I honestly get something akin to Carner Barcelona’s Cuirs along with Nasomatto’s Black Afgano. I looked up Cuirs and there is cumin and Black’s might be castoreum and dense wood, but that settled down some right now it seems too. There’s a clove cloud that surrounds this when your moving around. I own the both above so naturally I love this. I wish that opening hovered longer. Mind you, I love deep resinous materials. Before I go to bed I will sample Noire a bit more. I re sampled Serge Noire last night.This time I put a generous amount on. The opening was a little difficult , but after a bit I went outside to get some fresh air and there was a very nice frankincense with clove wafting around me.The end almost had a sweet buttery amber to it.Kinda one heck of a roller coaster ride I put Serge Noire back in my sample back. I will come back to it to re sample it again. I thought I would add this just encase someone reads this. It’s very nice, but the opening is challenging . Cedre seems like a floral to me. So I am a little confused . It’s nice though. Off topic: traces of Arabie got on my sheets, basically the drydown part, and it was such a gorgeous, snuggly, cozy aroma that I almost bought a bottle just as a sheet spray. lol. If I could have only the late stages of Arabie in a bottle, I’d be over the moon. I too find the bitter aromatic aspect a bit disconcerting, but it just happens to achieve an interesting balance to my taste. 😀 I agree with you that Arabie shares the herbal aromatic elements in Ambre Sultan, with bay leaf as the leading role (also noticeable cumin in Arabie), and that Arabie feels surprisingly thin, yet intense while sniffed close up. Maybe that’s why, or at least partly contributes to its sharp, even shrill feeling? Thank you for reviewing this. I have been missing my Ambre Sultan and I was considering getting a bottle to replace that. However after reading your review, I am going to give Arabie a try. Arabie was one of my first niche perfumes. I admire its complexity and I like it. What bugs me is the too date filled sweet drydown. I’d rather have the more savory spices with less sweetness. I am a Desert Marocain lover. I finally sold my bottle of Arabie because it was too ‘loud’ for me to wear much. It lasts forever on my skin and one spray is killer on me, fills a room. But your review made me remember what I liked about it. I may need another bottle. With the proliferation of so many of what I deem ‘pseudo-niches’ that are ‘less than’ and many times no better than mainstream fragrances, I find myself longing for Lutens again. Split sounds great. I’ll email my info. Years ago (thirteen, perhaps?) while living in Las Vegas, I wore this out one night to a restaurant/nightclub at Mandalay Bay, The Rumjungle (I believe it’s gone out of business after filing bankruptcy six or seven years ago.) A bunch of us had one of those meals (I forget the name) where different meats are brought out and carved in front of you and onto your plate – and not just any meats, but smoked, cured, mouth-watering juicy stuff rub with herbs and spices. It is, without a doubt, nearly impossible to smell Arabie today without thinking of that meal. The olfactory sensation of the fragrance itself, described above from someone’s review as “meaty, beefy, fiery, hot, vehement…violent….one is reminded of goat grilling in the marketplace, the smoke permeating the air to the point that the smoke becomes perfume.” is so apropos to the meal we had that night, the smells together a perfect melody. 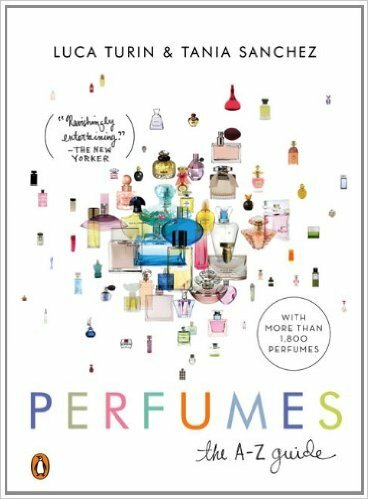 It’s been several years since I’ve had a bottle; I’d love to get another at some point, provided I test it again first to make sure it hasn’t changed – but there’s so many scents out there. I’ve actually finished about six or seven bottles over the last month or so and have about four or five more on the verge. They’re ones I’ve had for quite some time and it’s always a struggle to decide if I want to buy another bottle of something I’ve already had, or keep exploring for something new! 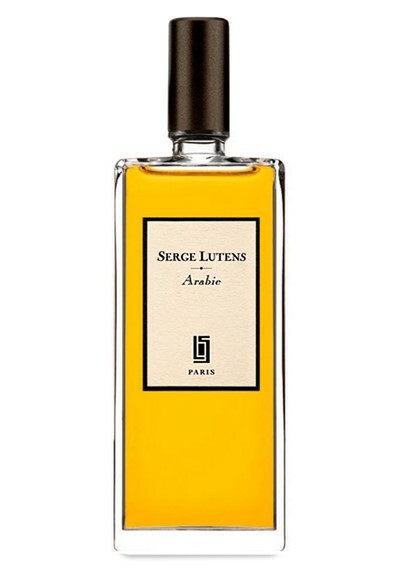 Jim (if I may call you that), another commentator just wrote that he detected no difference in scent between the current Arabie sample sent to him by Serge Lutens and the Arabie bottle he purchased last week from Fragrancenet (that he says is a 2013 one based on its batch number). I don’t know if that helps in making your determination or narrowing things down, but I thought I’d let you know anyway. It’s always difficult to decide between back-up or additional bottles of something one has already owned, or going with something entirely new. Have a good weekend. I like El Attarine a lot better when it comes to similar oriental foody category. Perhaps I found Arabie’s curry too pungent whereas El Attarine feels more refined with its beautiful immortelle apricot accord. I’ve tried it in passing at Le Palais Royale, but never tested it properly. I remember the heavily honeyed and cumin parts of the fragrance, more honey than pure or solo immortelle this time around, and the honey had an animalic edge that made me think of Miel de Bois. As a whole, the balance of notes in each fragrance felt different. And, yes, it was less overtly/powerfully curried and foody than Arabie. Definitely not savoury in its sweetness, either. I actually was going to order a sample of El Attarine a few days ago with the thought of doing a full, extensive review, but I ended up putting aside for another time when I saw the two latest, new Lutens were now available. I’ll get back to it eventually, I’m sure. 🙂 What are some of your favourite Lutens? I remember you recommending this one to me. Well, I blind bought this (and quite a few other SL frags) and all I can say is wow! This is fantastic, it reminds me a lot of the winter time and the holidays, but I truly love it. I enjoy this one a lot especially as a bed time / room scent. 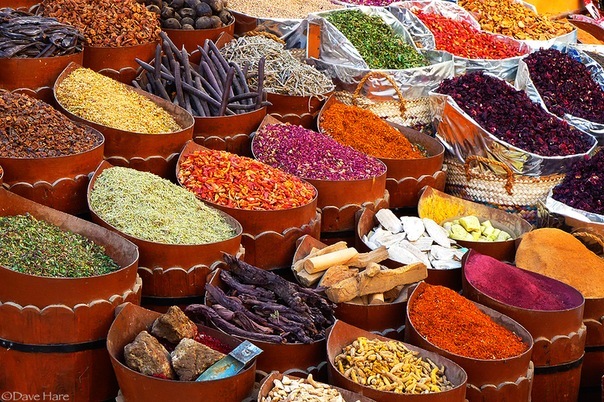 It reminds me of my brief time in Turkey especially the dried fruits and spice markets. It has a natural sweetness like the ones found in dried apricots (without sulphur, the brownish type). I’ve tried SHL Une nuit Doha and Cadavre Exquis but I’ve always preferred this one, it seems to be the most well balanced to me. i was told this is similar to Kenzo Jungle L’Elephant whic i love. i cant test this, so have to blind buy. I’m afraid I haven’t tried Kenzo Jungle L’Elephant, so I can’t guide or advise you as to the degree of similarity or not. I’m sorry I can’t be of more assistance.